As 4G Takes Off, Can You Hear the Flight Attendant Now? Is GPS About to Be Broken? For years, flight attendants have asked passengers to turn off personal electronic equipment before flights take off. This is because such devices aren't electromagnetically shielded to aviation standards, and could therefore interfere with airplane electronics. It’s a slight risk, but one worth taking seriously. However, the risk could become significantly higher if you fly in the future with a 4G phone with proposed new services underpinned by technology from LightSquared, a startup that hopes to create its own LTE mobile phone network to rival the likes of Sprint and Verizon. At least that's according to GPS technology maker Garmin, which has shown that LightSquared’s proposed technology can interfere seriously with global positioning system signals. Clearly the rollout of next-generation phone services isn’t going to be smooth. Meanwhile, on the subject of signal interference, European LTE cell phone users might want to keep their phones away from their TVs if they don't want to scramble the picture. In both cases, the problems relate to radio frequencies. 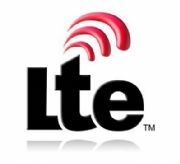 LightSquared intends to offer an LTE service in the United States that operates in the range of 1525 to 1559MHz. That's worryingly close to the 1559 to 1610MHz band used for GPS--too close for comfort, in fact. Cell phone towers pump out significantly higher power signals compared with what GPS uses, and Garmin has proved that it might not even take an errant cell phone tower to cause issues. Creating a transmitter broadcasting at LightSquared's proposed frequencies, Garmin managed to knock out the GPS fix of one of its most popular consumer devices when it was just over a half a mile away. More worryingly, an aviation device Garmin sells lost its GPS fix at a distance of just under 14 miles away, and was totally jammed five and a half miles away (Click here for Garmin's report (PDF)). And that's caused by a single transmitter. Cell phone towers work by being part of a grid of many transmitters that hand calls to and from each other. With multiple transmitters in a town, GPS would in all likelihood be killed dead, and within range in the skies above too. However, LightSquared is confident that it can overcome the frequency contamination issues, saying that its "rollout of full commercial service will satisfy the concerns about the possibility of inadvertent harmful interference to certain GPS devices." In other words, it's LightSquared's word against Garmin's. The underlying problem is that as efficient digital services replace their bandwidth-hogging analog equivalents in the radio spectrum, national governments are keen to sell off the suddenly unoccupied radio space. However, as Garmin's tests show, such services don't always sit comfortably alongside each other. In an ideal world we'd simply start all over again and assign frequencies to digital services in a sensible manner, but the current systems of cell phone networks, Wi-Fi, and GPS all have arisen organically over many years, during which they had to coexist peacefully with neighbouring analog services. Other 4G, LTE services are safe. For example, Sprint's WiMAX service operates at 2500MHz, and Verizon LTE at 700MHz. Neither are known to cause issues. However, it's becoming clear that a competitive marketplace combined with limited radio spectrum opportunities means that service providers will have to tread very carefully as they roll out faster phone services in the coming years.